As many as 17,000 of Florida’s children will get access to healthcare this summer when the state’s KidCare subsidized insurance program lifts its five-year wait period for legal immigrants. The new policy, signed into law by Governor Scott last month, is welcome news for parents in Miami-Dade, which (according to the Georgetown University Health Policy Institute) has the highest county-wide rate of uninsured children in Florida – and the seventh-highest in the nation. 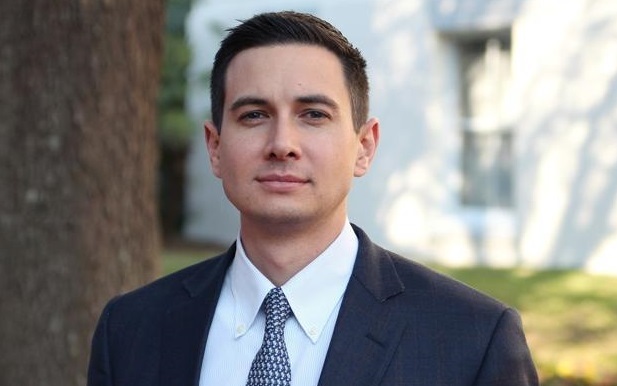 Vance A. Aloupis, Miami Fellows Class VI alumnus and newly appointed CEO of The Children’s Movement of Florida, advocated for the bill’s passing for several legislative sessions. Aloupis, 32, who helped launch the Movement six years ago, has made it his mission to make Florida “the best state in the nation for young children.” Next month, The Miami Foundation, in partnership with Philanthropy Miami, will recognize Aloupis with the 2016 Ruth Shack Leadership Award. Each year, the award honors an individual under 40 who reflects ethical leadership, dedication and service to Greater Miami, qualities embodied by the Foundation’s President Emeritus Ruth Shack. David Lawrence, Jr., former Miami Herald publisher who founded The Children’s Movement and serves as its chair, supported Aloupis’ promotion last month to continue the work he began in 2010. Other state leaders and established institutions have recognized Aloupis’ noted talent. Governor Scott appointed Aloupis twice to serve two-year terms as a commissioner for Volunteer Florida. Also, The Bob Graham Center for Public Service at the University of Florida honored him with the Young Floridian of the Year award in 2014, and the Center for Leadership at Florida International University recognized him this month with its annual Emerging Leader Award. Vance and his wife, Mariella, live in Aventura with their daughters, Isabella and Aria. The Ruth Shack Leadership Award will be presented at the 18th Annual Donor Next Door Luncheon, May 12th at Jungle Island. The event will celebrate the philanthropy of more than 35 individuals, families, foundations and corporations that donate time and money to support the work of nonprofits in the arts, education and social services.